Ghost Pressure dive into the darker side of alternative rock in “Sunless Dawn,” a turbulent song exploring perception, memory, and life’s transience. We live at the mercy of our memories: Our view of the world, how we interact with it every day – all our behaviors and thoughts are connected to our understanding of past and present. It no doubt shocks the system, then, when we learn our memory itself is fallible; that the sights and sounds we remember from years past may not reflect what really happened. New York’s Ghost Pressure wrestle with this notion in “Sunless Dawn,” a powerfully dark song exploring perception and its significance toward life’s transience and temporality. 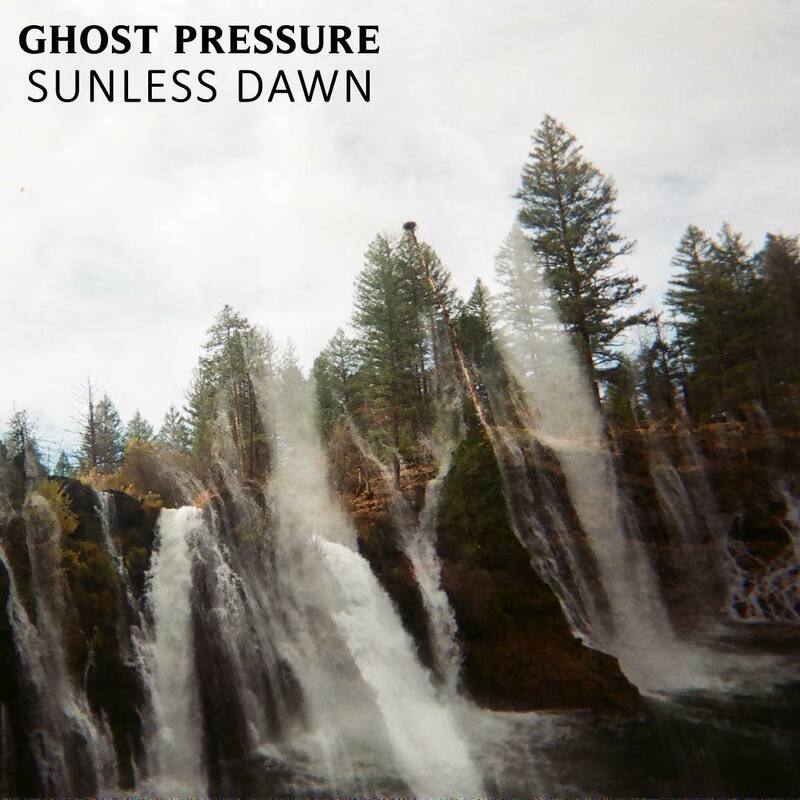 Atwood Magazine is proud to be premiering “Sunless Dawn,” Ghost Pressure’s first single of 2018 (produced by Ray Marte of metal band Moon Tooth). Following up from last year’s one-off single “Tidal Shift” and 2016’s debut chance EP, “Sunless Dawn” finds Long Island, NY’s Ghost Pressure barrelling headfirst into a heavier, washed-out shoegaze sound with unceasing passion and determination. The song is also the second to feature Lauren Diehlmann on vocals and the first song she was completely involved in, creatively; she joins the lineup of Nick Post and David Hodgkinson (guitar), Nick Femister (bass) and Karina McMahon (drums) to round out a dynamic sound full of limitless potential, heartache and strain. Ghost Pressure dive into the darker side of alternative rock in “Sunless Dawn,” whose name itself echoes with a vision of shadowed moments bereft of hope. The band describe it as the “negative space of human living;” that poetically poignant image resonates throughout their music. Ultimately, “Sunless Dawn” questions our perception of reality, versus reality itself. How do we see the world, and how does that impact our memories of loved ones? Furthermore, how much of that matters? Do we need to recall someone exactly as they were on tape, or is it better that we appreciate who they were in our eyes and ears; to remember them for how they seemed to us? Ghost Pressure is not the same band you heard in 2016. Two years and a significant lineup shift present a mature rock band driven to hard emotions, a group whose willingness to take risks allows them to explore a diverse array of heavy, hearty sounds. If you’re drawn to the likes of Warpaint and Wolf Alice, you’re likely to find a new home in Ghost Pressure’s dark, turbulent energies. Stream “Sunless Dawn,” exclusively on Atwood Magazine!